If one coil of wire is good, then three coils must be wonderful! 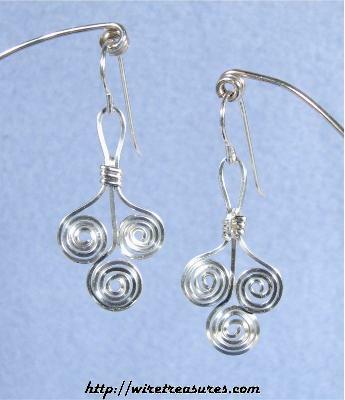 These Sterling Silver earrings are simple but stunning; the coils catch the light and reflect it back in flashes as you move. Nice! You are visitor number 3,501 to this page.